It could be something serious or as light as running a red light. When you’re arrested, you’re unlikely going to see a judge on the same day. You’ll have to stay in jail unless you can pay a fee. This fee is referred to as bail. If you pay the amount, you’ll go free until the day of your court trial. Bail isn’t getting any cheaper either. By 2015, bails for felonies had risen to $20,000. If you can’t pay it the bail, what will you do? Will you sit in jail and wait for your court date? No, you should not because you still have the option of getting a bail bonds service. Your rates will change depending on how big of a risk you are to the court. If the court sees you pose a large risk of not making a court appearance, they’ll charge higher bail fees. Keep in mind that the state you live in can also change how much bail will go. 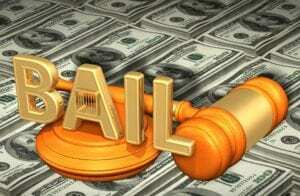 If you cannot pay your bail in cash you can get a bail bond. This is a contract that guarantees the court you’ll appear for trial. A bondsman or bonds agent is the middleman. The bondsman will take the responsibility of making sure the defendant appears in court for their trial. In general, the bondsman will require you to pay a percentage of the bail. This serves as a deposit. The bondsman will also collect a collateral from you to cover the remaining amount of the bail. From that point, the defendant is free to go but they have to appear in court for their trial. Attending your court trial or not will determine what happens to the collateral you gave. Is a Bail Bonds Service Available Everywhere? In these states, the court handles the issuance of bail bonds. Also, keep in mind that the whole cash bail system is illegal in Washington D.C.
It’s not a quick and easy process even in places where bail bonds and a bondsman are available. Very few places have bonds agents that offer 24/7 service. Do I Still Put Up Cash? Yes, you are still required to pay the bondsman some cash. In most cases, the bondsman will require you to give 15% of the total bail. If your bail is set at $5,000, you’ll have to give the bondsman a deposit of $750. As mentioned, you’ll give a collateral to cover the rest of your bail fees. A collateral is defined as an object of value that can pay for a loan. This collateral can include jewelry, your house, or car. If in case you don’t fulfill your contract with the bondsman, they’ll use your collateral to cover the fees the court demanded. What Happens If I Appear on Court Dates? If you keep to your word and appear during your court date, you’ll get your collateral back. The bondsman will still keep the 15% but everything else goes back to you. In states where the court issues the bonds, the premium paid will go to the court. What Happens If I Don’t Appear? If you don’t appear in court, the bondsman will cash in your collateral. They’ll then use the money to pay the court for your bail. The bondsman will still keep the 15% deposited as their profit. Are you in trouble and out of cash? You’re not sure how to secure a bail bond in your area? Whether you need answers or you’re in a tight spot for a bail bond, feel free to contact us. We offer 24/7 bail bonds service to get you a bail bond as quickly as possible.